The Disney Dream offers a variety of staterooms to meet the needs of all types of families and budgets. The most luxurious and spacious stateroom on the Disney Fantasy is the Concierge Royal Suite with Verandah. This room is a whopping 1781 square feet including the private verandah. It sleeps up to 5 guests very comfortably in a master bedroom with one queen sized bed, one wall pull-down double bed and one wall pull-down single bed. These luxurious rooms also include 2 bathrooms, a dining room, a media library, a wet bar, and a pantry. The spacious verandah includes a Jacuzzi and patio furniture as well as plexiglass railings and child locks on the doors so families with young children can rest easier knowing that there are extra security measures in place. The Disney Cruise Line Signature Concierge service that is included in this room is another benefit to staying in this beautiful suite. The next category of staterooms is the Concierge 1-Bedroom Suite with Verandah. These suites are a sizable 622 square feet including the private verandah. It can comfortably sleep up to 5 guests in one bedroom with a queen size bed, a double convertible sofa, and a single wall pull-down bed. Guests in these suites will also enjoy the convenience of 2 bathrooms with a whirlpool in the master bathroom. The private verandah features patio furniture and the safety features found in the Royal Suite and all verandah rooms on the Disney ships including plexiglass or whitewall railings and childproof locks on the doors. Suite guests will also enjoy the Signature Concierge services. The final room type in that includes the Signature Concierge service is the Concierge Family Oceanview Stateroom with Verandah. These staterooms are a generous 306 square feet including the private verandah and can sleep up to 4-5 comfortably in a queen-size bed, a double convertible sofa, and an upper berth pull-down bed. Guests in these staterooms will enjoy the convenience of one-and-a-half baths. A privacy curtain allows for separation of the sleepint area and the sitting area. Guests will also enjoy the private verandah with the safety features present on all verandah rooms on Disney ships: Childproof locks and plexiglass or whitewall railings. Disney's Signature Concierge service is included for guests in this stateroom category. If guests still want to luxury of a private verandah and plenty of room to stretch out, but do not need the Signature Concierge services, there two different stateroom categories to choose from. The Deluxe Family Oceanview Stateroom with Verandah is a spacious 299 square feet including the private verandah. It sleeps 4 or 5 comfortably in a queen-size bed, a single convertible sofa, a wall single pull-down bed and an upper berth single pull-down bed. The room features a privacy curtain that can be drawn to separate the sleeping area and the sitting room. The convenient split bathroom allows for multiple people to use this space at the same time. A privacy curtain allows for the separation of the sleeping area and the sitting area. The private verandah features plexiglass or whitewall railing and child proof locks. The other stateroom category with a verandah is the Deluxe Oceanview Stateroom with Verandah. This stateroom is a large 246 square feet including the verandah. It sleeps 3 to 4 people comfortably in a queen-size bed, a single convertible sofa, and an upper berth pull down bed. This stateroom also features a split bath, which allows multiple people to use the space at the same time. A privacy curtain allows for separation of the sleeping area and sitting area. The verandah features plexiglass or whitewall railings and child locks. If guests do not want the expense of a verandah room, but would still like to have a view from their stateroom, there are two Oceanview staterooms that they may choose from. The Deluxe Family Oceanview Stateroom is a large 241 square feet and can sleep 4 very comforably and 5 if needed in a queen-size bed, a single convertible sofa, an upper-berth single pull-down bed and a wall single pull-down bed. The room features a split bath for multiple people to use the space at the same time. There is a privacy curtain that can be drawn to seperate the sleeping area from the sitting area. It also boasts a large porthole window that is nearly 5 feet in diameter complete with cushions, so guests can comfortably take in the ocean views from their own stateroom. The Deluxe Oceanview Stateroom is 204 square feet, and can sleep a familiy of 3 or 4 comfortably in a queen-size bed, a single convertable sofa and an upper berth pull-down bed. It has the convenient split bath which allows multiple people to use the space at the same time. Guests can pull the privacy curtain to seperate the sleeping area from the sitting area. Guests can also take in the view from their stateroom out of one large porthole or two small ones. For a more economical option, Disney also features two types of Inside Staterooms. Fortunately, in true Disney style, the most inexpensive option still contains much of the comfort and many of the conveniences of the more expensive staterooms. The Deluxe Inside Stateroom is 200 square feet and can sleep a family of 3 or 4 in a queen-size bed, a single convertible sofa and an upper berth single pull-down bed. These staterooms offer the conveniences of the split bathroom and the privacy curtain that can be drawn to seperate the sleeping area from the sitting area. It also features a "Magical Porthole" that provides a real time view of what is happening outside the ship. Guests will love watching the "Magical Porthole" for surprise visits from Disney characters. The Standard Inside Stateroom is 169 square feet and can sleep 3 comfortably and 4 if needed in a queen-size bed, single convertible sofa and upper berth pull-down bed. These staterooms feature one full bath and the privacy curtain to separate the sleeping area from the sitting area. The "Magical Porthole" provides a real time view of what is happening outside the ship. Guests will enjoy watching the "Magical Porthole" for surprise visits from Disney Characters. For more information on Disney Dream and its staterooms or for information on any Disney cruise, please contact us. 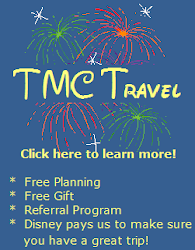 Should I use a Travel Agent for my Disney Cruise?